China's most popular social media app has amassed 1 billion users. But it's going to have trouble attracting another billion. WeChat's number of monthly active users popped above the milestone during the Lunar New Year holiday in February, its parent company, Tencent (TCEHY), said this week. It's an impressive number, but it's still well short of Facebook's 2.1 billion monthly users or WhatsApp, which has more than 1.5 billion. "The growth on WeChat has been slowing down consistently for the last two years," said Matthew Brennan, founder of ChinaChannel, a WeChat-focused research firm. "It's really topped out, I feel," he said. "It's not going to go much further." 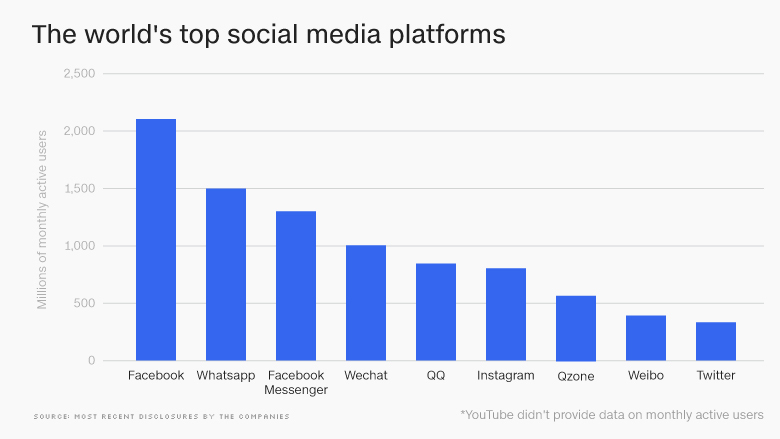 WeChat's success in China has been helped by the government's decision to shut out Facebook (FB), Twitter (TWTR) and other rival social media platforms that are popular in the rest of the world. But the WeChat app is fast approaching the limits of China's vast population of smartphone users. Wireless industry group GSMA estimates that 98% of China's 1.4 billion people already own a smartphone, and sales of the devices started to decline last year. Meanwhile, WeChat has failed to catch on in other markets. It arrived late in many countries around the world, where Facebook, WhatsApp and other rivals had already won over large numbers of users. 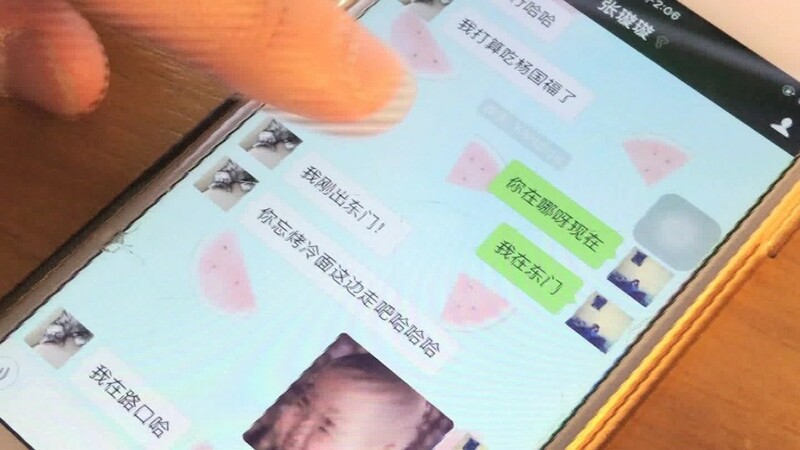 The features that made WeChat so popular in China -- being able to do everything from booking pet-grooming appointments to sending money to friends -- have failed to attract users in overseas markets where people can use established platforms like Paypal (PYPL) for specific needs. International users may also be wary of using an app in which messages can be monitored or potentially censored by the Chinese government. Because WeChat is tailored to the Chinese market, the people who use the app in other countries are mostly Chinese citizens who are keeping in touch with friends and family back home, or foreigners who do business in China, analysts say. But user growth hasn't been a priority for WeChat for some time, according to Brennan. By getting people to spend more time and money on those services, WeChat has a lot of "untapped potential" for bringing in greater revenue, according to Brennan. "It's not about new users anymore," he said.